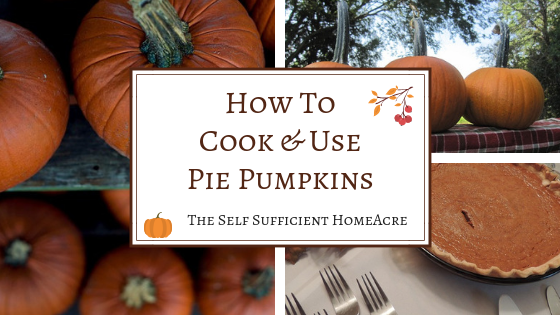 Whether you want to make your own pie from scratch, save some money, or use up an abundant harvest, knowing how to cook and use pie pumpkins is a great skill to have. I’ve used field pumpkins, winter squash, and pie pumpkins to make homemade ‘pumpkin’ puree…and you can too! It’s not hard to do and you can save some cash with the following instructions. 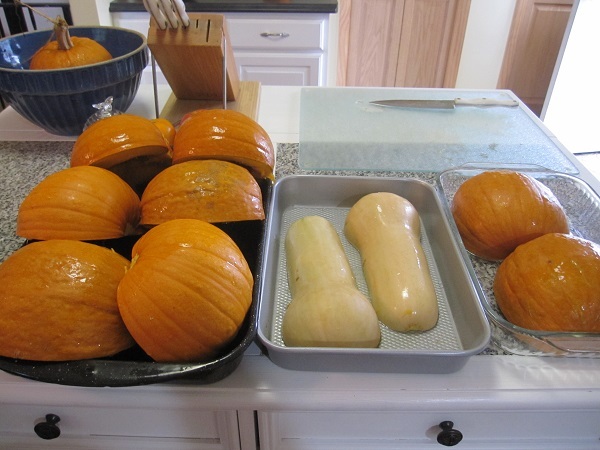 For more information, check out my article How to Harvest and Store Pumpkins and Winter Squash. 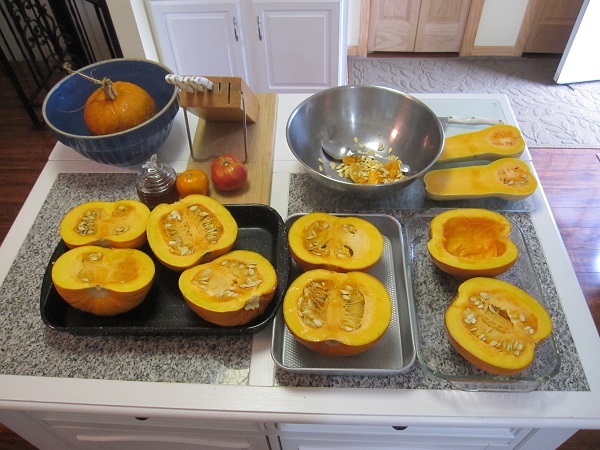 I like pie pumpkins and winter squashes (with deep orange flesh) best for making ‘pumpkin’ puree. You may use field (Jack-o-lantern) pumpkins for cooking, too. They are stringy in texture and contain more moisture than pie pumpkins, but they most certainly are edible. You might pick them up for free after Halloween, so why not give them a try? 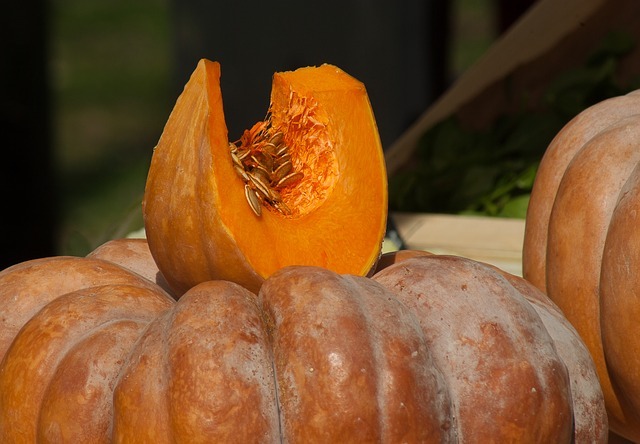 Musquee De Provence is an heirloom pumpkin that is very decorative and tastes great. Butternut squash makes good ‘pumpkin’ puree. Check your pumpkin or squash for any mold or bad spots. If there is a bit of mold on the outside, you should be able to remove the affected area. 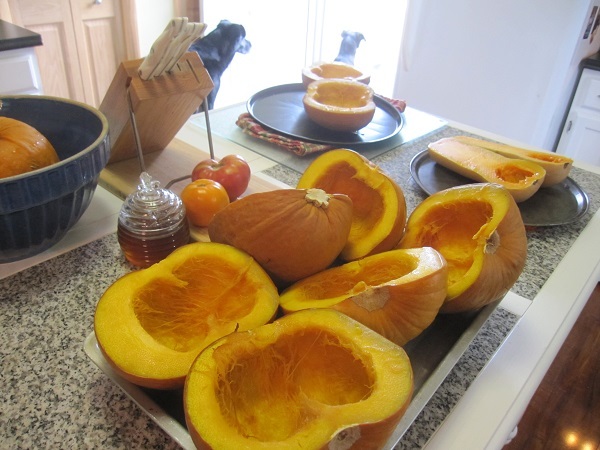 However, if you open the pumpkin and there is mold in the seed cavity, compost it and start with a fresh one. Getting pumpkins and squash ready to bake. After cutting them in half, scoop out the seeds. Save them for toasting, planting next year, or feeding to your chickens or pigs. Pie pumpkins and Butternut squash ready to go in the oven. Once the pumpkins are fully cooked, cooled, and drained of excess water, you’re ready to scoop the flesh from the skin (if you haven’t already) and puree it. There’s more than one way puree your pumpkin, too! Cooked and mashed pumpkin may be eaten like winter squash or pureed for pies, muffins, and quick breads. 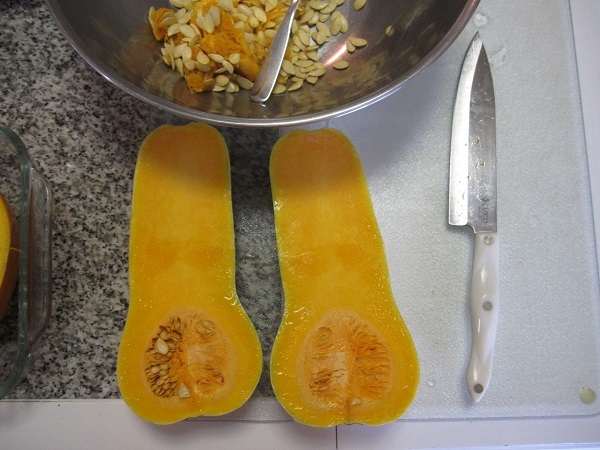 Place the cooked pumpkin in your food processor or blender and puree it until smooth. The consistency of cooked pumpkin may be too thick for some blenders. 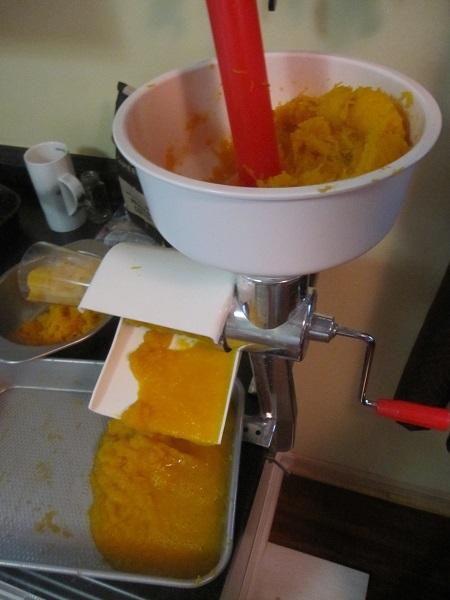 I have a food mill that I’ve used for pumpkin in the past, but it was quite a bit of work and didn’t remove as much of the pulp. Run the pumpkin flesh through the food mill, stopping occasionally to scrape the stringy stuff from the inside of the food mill and discard. The Victorio Food Strainer makes quick work of pureeing pumpkins. It also removes the stringy parts for a very smooth puree. This year I used my Victorio Food Strainer and I was very happy with the results. Place a bowl under the spout where the puree feeds out, and another bowl under the end of the tube to catch the stringy pulp. Place the cooked pumpkin into the funnel and turn the hand crank, using the ‘plunger’ to feed the pumpkin down into the auger. If you are pureeing a lot of pumpkins, you may need to scrape out the sieve and auger components of the food strainer once or twice to keep the puree flowing. If you are making a small amount of puree, you can mash the cooked pumpkin through a sieve. I used this method for one pie pumpkin this fall and it worked well, but this takes more effort and time than the food strainer for a large batch. Place pumpkin into sieve. 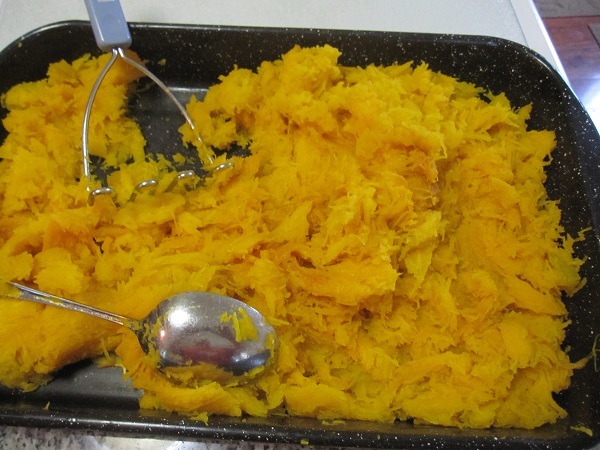 Using a spoon, press mashed pumpkin through sieve into a bowl. Discard the stringy pulp that is left in the sieve. 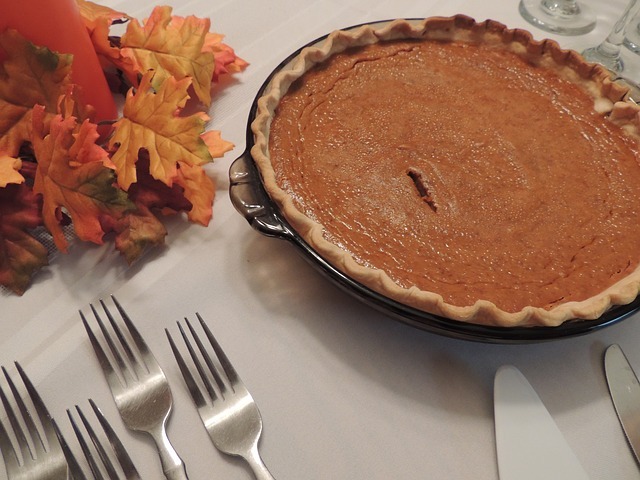 Your homemade pumpkin puree will make the tastiest pumpkin pies! If your pumpkin puree is watery, place it in a strainer and allow to drain. Refrigerate while it drains if this will take very long. Use the puree in place of canned pumpkin in any recipe. Measure into 1 or 2 cup increments, pack pumpkin puree into BPA free freezer containers, leaving 1/2 inch of head space. Label container with contents and date, and use in 6 months to one year. It is not recommended that you can pumpkin puree. The variation in puree consistency makes it too difficult to ensure proper temperature is reached in the center of the jar. For more information, refer to The Center for Home Food Preservation page here. 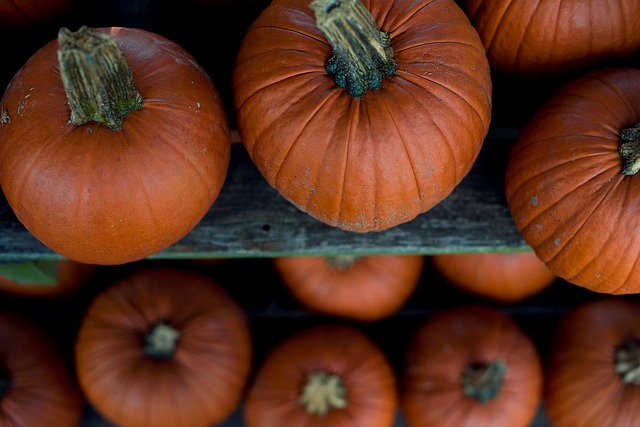 Can you save some cash by making your own pumpkin puree? 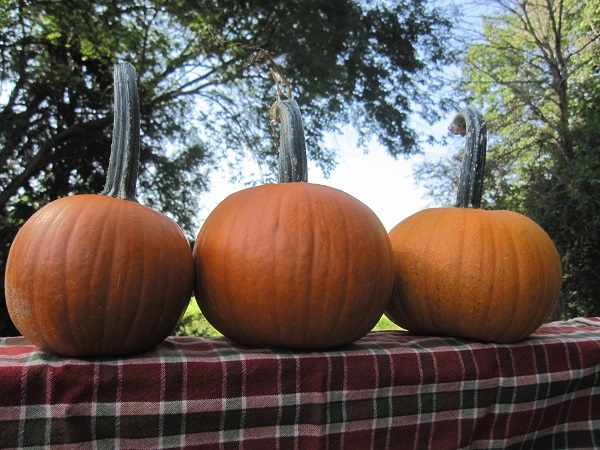 If you really want to save some cash on your pumpkin pies, try growing your own pumpkins and/or winter squashes. This year I grew 2 varieties of pie pumpkin and 3 varieties of winter squash. 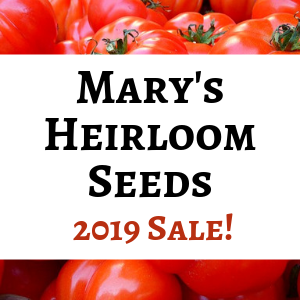 The cost of seeds came to approximately $15 (if you count the cost of the entire package of seeds – although each packet contained enough to plant for several years). From this, I harvested 26 pumpkins and 37 squashes. That’s a lot of food for $15! 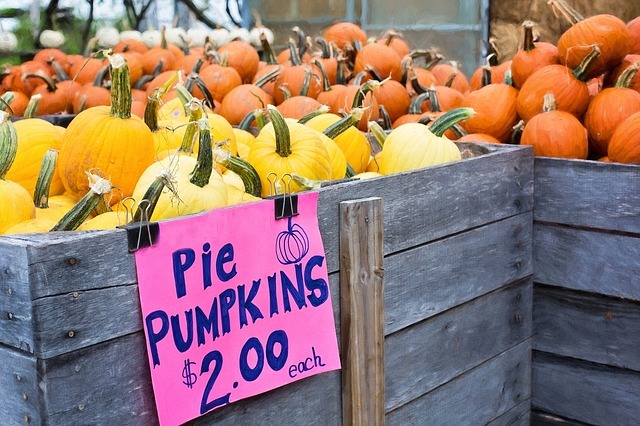 If you need to purchase your pie pumpkins to make puree, wait until after Halloween when pumpkins go on sale, or check at local pumpkin patches and farm stands. Next year, plant your own! 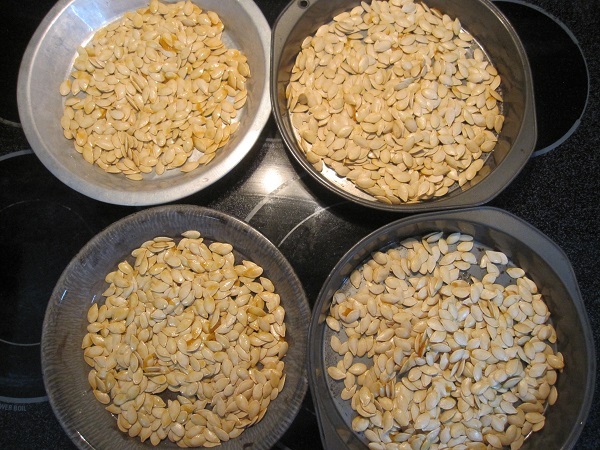 Roast some pumpkin or winter squash seeds for a healthy snack. What Else can You do with Your Pumpkins and Winter Squash? Cooking and Using Your Own Pumpkin Isn’t Hard! DIY pumpkin puree might take some time, but it really isn’t difficult to do. You don’t necessarily need a food processor or expensive kitchen gadget to puree your pumpkin. The flavor is delicious, one small pumpkin should make 1 or 2 pies, and you’ll have some tasty roasted seeds to munch on when you’re done. Use whatever pumpkin or winter squash you have on hand to make a variety of savory and sweet dishes that your family will enjoy this fall!